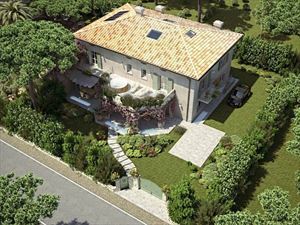 A modern, bright villa (240 sq.m.) 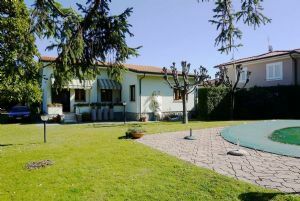 with a garden (2200 sq.m.) 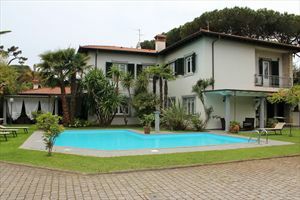 and a pool (13x5.5 m.) located in Forte dei Marmi (area Vaiana), about 2000 meters away from the beaches of Versilia. 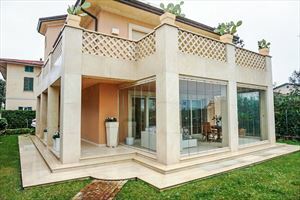 The ground floor consists of a living room with entrance to the terrace and to the pool, dining room, kitchen, guest bathroom and bedroom with en-suite bathroom. 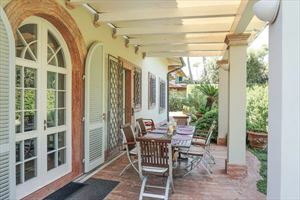 The top floor comprises bedroom with bathroom and terrace (35 sqm). There is also a study which may be used as a bedroom. In the basement, there is a living room, bar, and a bedroom with bathroom. 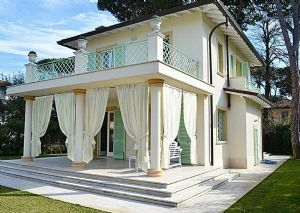 The villa is equipped with all amenities, including air conditioning, alarm system, Wi-Fi, automatic gate. 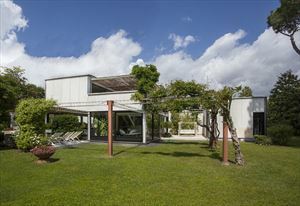 The garden features barbecue and parking.